We’ve told you before that the Tribune Co. was prepping to take their five lending banks. Now it has finally happened. Wilmington Trust Co., the agent for bondholders owed $1.2 billion, filed a lawsuit in Delaware yesterday against JPMorgan Chase Bank, Merrill Lynch Capital Corp., Citibank NA, Bank of America NA and Morgan Stanley & Co, according to Bloomberg. 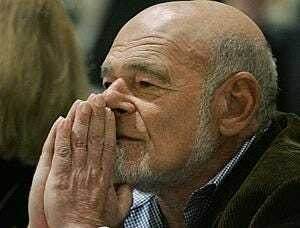 In 2007, real estate mogul Sam Zell used the $8 billion in loans from the banks to take over Tribune Co., which publishes the Los Angeles Times, the Chicago Tribune and other daily newspapers, along with 23 TV stations. He dumped the company into bankruptcy in December 2008 because of plummeting advertising revenues and a crushing $13 billion debt load after the buyout. The banks knew that the buyout “would render Tribune insolvent and, ultimately, drive it into bankruptcy,” according to the attorneys’ written complaint.